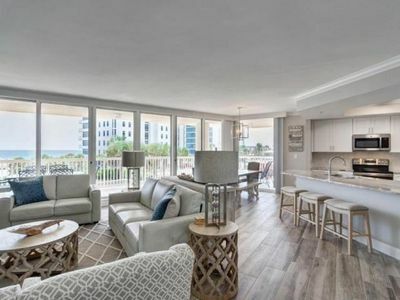 Brand new renovation and professionally designed condo that has truly raised the bar when it comes to luxury, comfort, and coastal style. 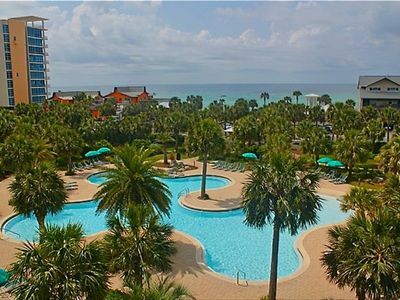 When you hear unit 407, think "Coastal Heaven". 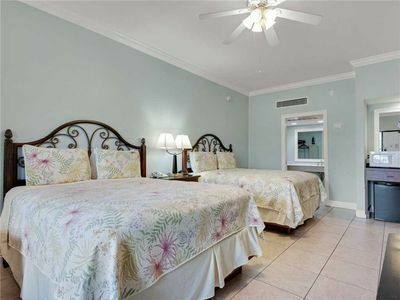 The unit can best be described as the perfect coastal couples retreat featuring 2 Master suites both with KING sized beds. 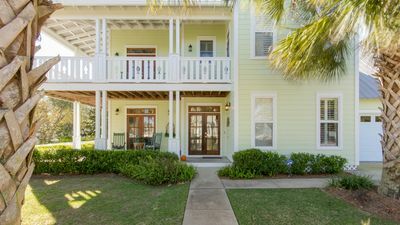 Quartz counters throughout, distressed coastal flooring, high end finishes, all stainless appliances, unique designer decor, and amazing details! The gulf front master suite with balcony access features a 55" flat screen smart tv, a king canopy bed, upholstered bench seat overlooking the gulf (perfect for watching the dolphins play) newly designed spa style bathroom with a sliding barn door, larger vanity, a walk in shower with a rain head faucet, and gorgeous blue glass tile focal wall AND ceiling. 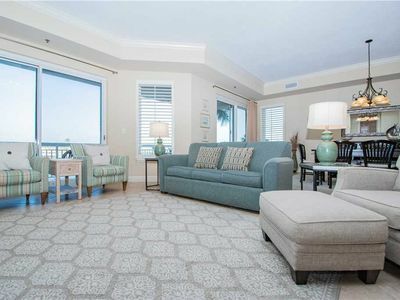 The living room is as comfortable as it is beautiful with an L shaped sectional sofa (not a sleeper) and a large ottoman, plush pillows, chunky jute rug, and a 60" flat screen tv with DVD. 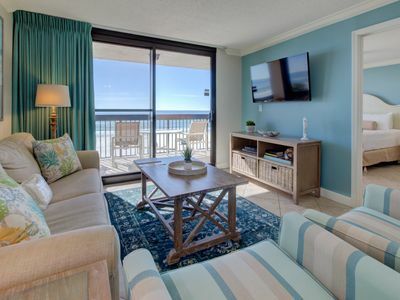 The blue ombre draperies help make the blue Gulf feel like it's part of the INSIDE of the unit, and provide the perfect frame for your gorgeous ocean view. The placement of the massive reclaimed wood mirror gives diners on both sides of the large farm table views of the gulf, and the upholstered benches provide comfort and additional lounging space. The mason jar chandelier with shells and sea glass (complete with dimmer) provides ambience and a candlelight dining effect. 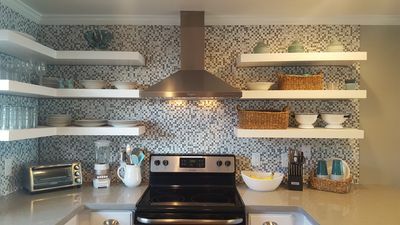 The remodeled kitchen features beautiful sea toned glass tile and all the comforts of home including a Keurig, Kitchen-Aid stand mixer (Aqua blue of course), and even a crock pot! 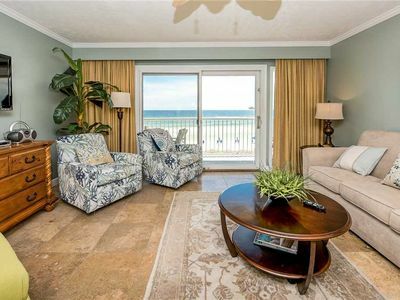 The balcony features an outdoor rug, a bar height table and a pair of rocking chairs that are perfect for relaxing in the ocean breeze. 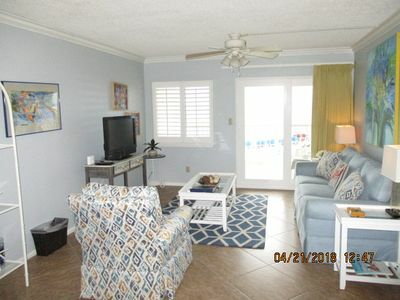 There is a roll away twin bed with memory foam mattress, and an exterior closet that allows you to store any floats or beach gear. 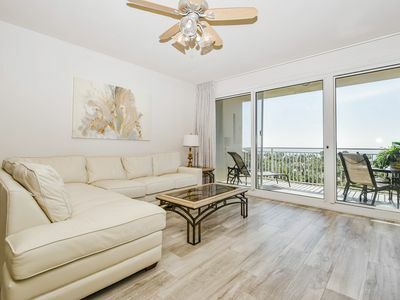 The 4th floor unit ideally located and is high enough to provide spectacular panoramic views while still providing the sounds of crashing waves to lull you to sleep. There is wifi and a secretary desk for the professional that may need to catch up on work while you're away. 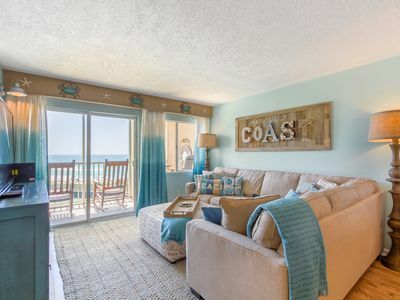 Come experience why unit 407 is called "Coastal Heaven" and make memories of the beach that will linger long after the sand washes away. Beach service is provided at no additional charge. 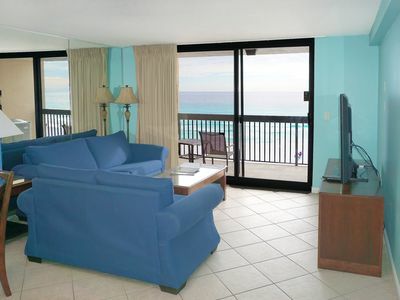 Complimentary Xplorie excursion will enhance your vacation. 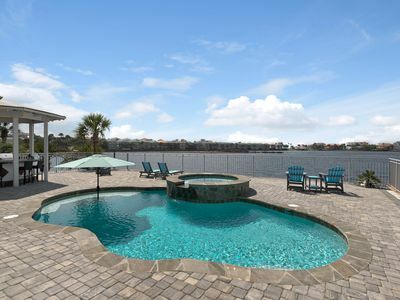 SunDestin 0401 - Book your spring getaway! 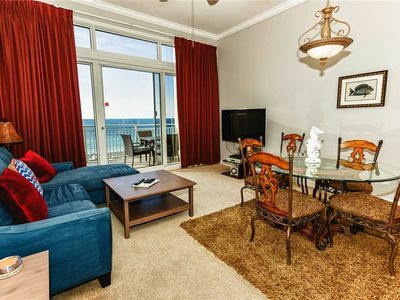 Pacifico Destin Condo- a roomy beachfront condo in the heart of Destin! 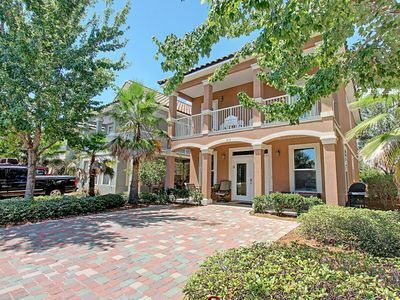 Steps to Beach & Community Pool! Huge Wraparound Porches in Family Neighborhood. 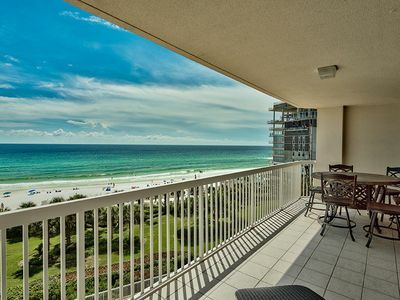 Gulf-Front Condo in Destin w/ Stunning Views & Gorgeous On-Site Amenities! 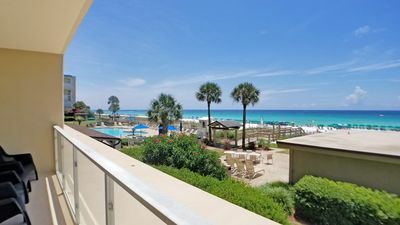 Palms Resort 1814 Jr.2BR/2BA☀OPEN Apr 21 to 23 $585!☀Lagoon Pool! Beach Shuttle! FIRST FLOOR! 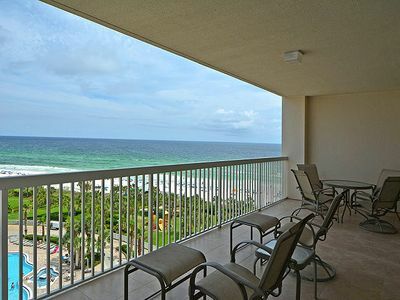 Panoramic VIEWS Of The GULF! 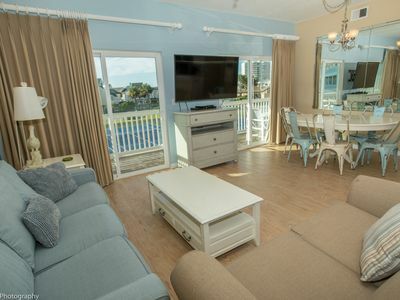 Sleeps 11! Free Beach Chair Set Up! 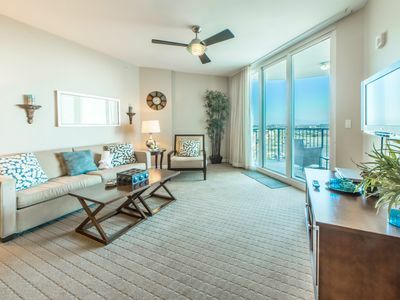 Welcome to Jade East 1540!